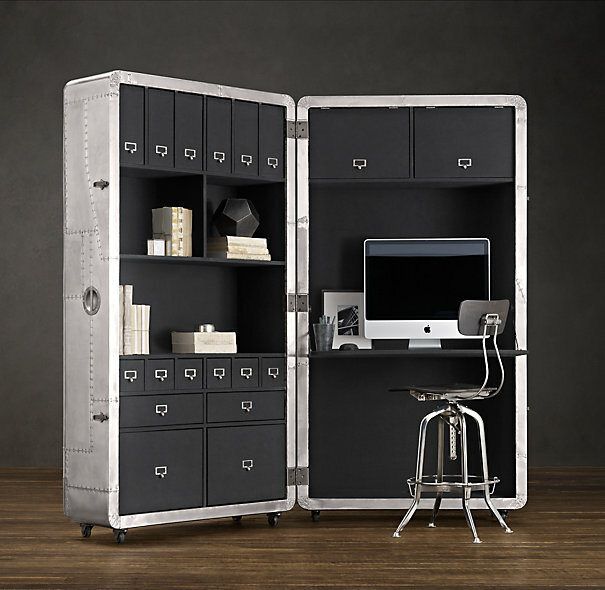 This cool portable secretary trunk made of polished aluminium was inspired by the mid 20th century architecture. 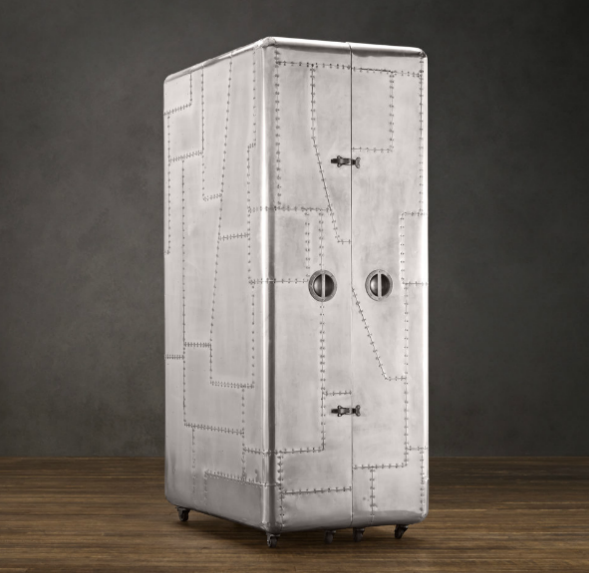 The design gives this trunk its own character underlined by the vintage look created from dings, small scratches and various imperfections. 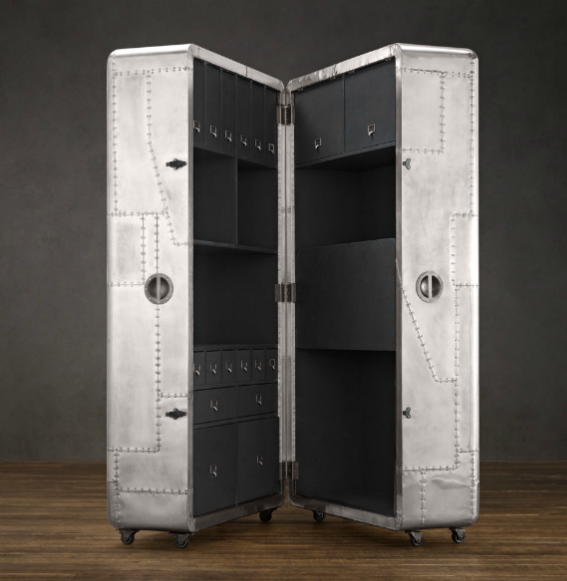 It weights 525 lbs. and the dimensions are 41″W x 30″D x 77″H.